WikiLeaks founder Julian Assange, arrested in London on Thursday after Quito withdrew his political asylum, will not be extradited to any country where he could face "torture or the death penalty", Ecuador's president said. 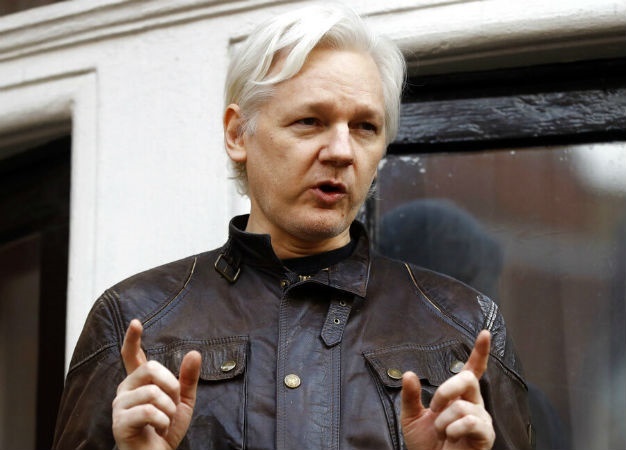 "I asked Great Britain for the guarantee that Mr Assange will not be extradited to any country in which he could suffer torture or the death penalty," President Lenin Moreno said in a video message posted on social media. "The British government has confirmed in writing" that they will meet this requirement, Moreno said. Moreno earlier tweeted that Ecuador was within its "sovereign rights" to withdraw Assange's asylum "for repeatedly violating international conventions and the protocol of co-habitation." He was arrested by British police who entered the embassy on Thursday after Quito withdrew his asylum. Rafael Correa, Moreno's predecessor who was instrumental in granting Assange asylum, slammed the reversal of policy as "a crime." "Moreno is a corrupt man, but what he has done is a crime that humanity will never forget," tweeted Correa, who now lives in Belgium.